It’s only been two months since Mazda introduced SKYACTIV-X, and it’s already being recognized by Popular Science as a “Best of What’s New.” Popular Science, the world’s largest science and technology magazine, reviews thousands of products in search of the top tech innovations of the year. This year, the magazine decided that Mazda’s SKYACTIV-X engine, what will be the world’s first commercially available compression-ignition gasoline engine, is the best representation of a significant leap in automotive technology. 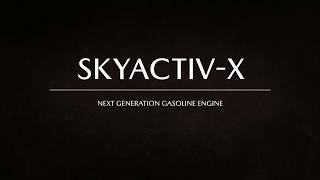 SKYACTIV-X is Mazda’s new, proprietary internal-combustion engine technology that combines the free-revving nature of a gasoline engine with the efficiency, torque and response of a diesel. This innovative technology uses an extremely lean air-to-fuel mix, combined with ultra-high pressure in the cylinder to ignite fuel. Spark assist helps act as a catalyst in conjunction with the high compression to create a more a homogenized, spread-out injection of fuel throughout the cylinder, allowing for a far leaner burn than what might otherwise be possible in an internal combustion engine. The SKYACTIV-X engine is expected to deliver 20- to 30- percent better fuel economy than even Mazda’s own SKYACTIV-G 2.0-liter engine, itself one of the world’s most efficient gasoline engines, and will undoubtedly build on Mazda’s reputation for efficiency when it goes on sale within two years. This type of innovation has been part of Mazda’s challenger spirit from its beginning. Fifty years ago, Mazda began its legacy of defying convention when its engineers solved the technical challenges of the Wankel rotary engine, something no other automaker could do. They followed up with a myriad of other engine technologies, including the Miller Cycle supercharged engine and SKYACTIV Technology, which has allowed Mazda to earn the title of the most fuel-efficient automaker in the U.S., according to the United States’ Environmental Protection Agency (EPA) industry fleet average for the past four years in a row. Mazda is making history again with its Spark Controlled Compression Ignition (SPCCI) SKYACTIV-X technology, again something no other automaker can do. The Popular Science “Best of What’s New” adds to Mazda’s history of landing in the winners’ circle of top engine awards. Most recently, Mazda’s turbocharged SKYACTIV-G 2.5T engine was recognized a “2017 WardsAuto 10 Best Engines” award recipient because of its many Mazda- and industry-first technologies. As Mazda continues to innovate, it will continue to offer an uncompromised combination of efficiency, response and driving enjoyment. SKYACTIV-X will only build upon Mazda’s guiding principles of making cars that stand at the technological forefront of the auto industry.